So we've seen Ciara courtside at the Garden a few times this season. Now we know why as the singer has put the distance between her and rapper 50 Cent, and is now getting her a baller. 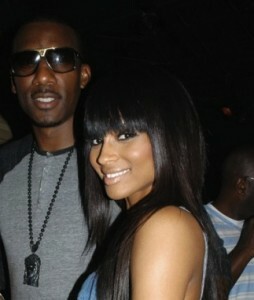 Amar'e Stoudemire and Ciara are dating but are keeping it on the DL according to a source. They've even spent sometime in L.A. recently while Stoudemire was in town earlier this month. Stouedmire has been linked to Amber Rose and tennis player Serena Williams but that the friendship between he and Ciara has been upgraded to the the next level.